Do you have several programs you use every day? 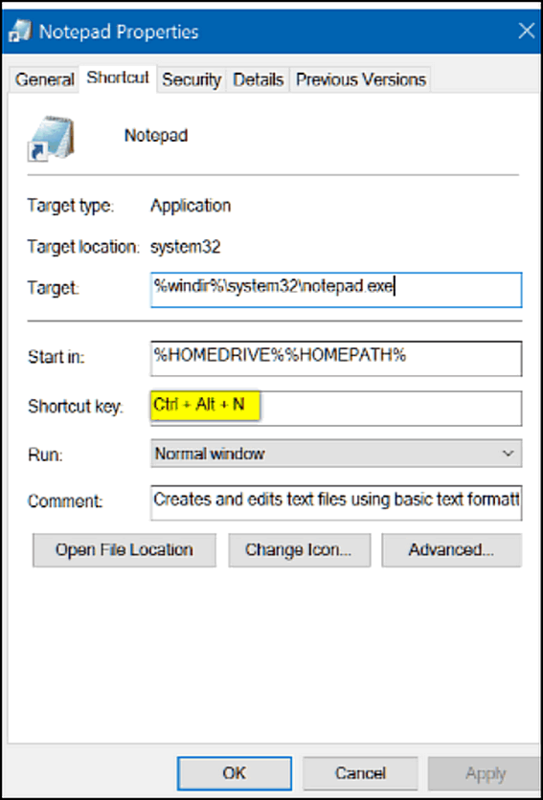 Instead of clicking on the start menu or a desktop or taskbar shortcut to open those programs, why not create a hotkey combination to open them? It’s really easy to do. I use Thunderbird every day. I have a shortcut on my taskbar and on my start menu for it. It’s nice having a shortcut on the taskbar because it’s always right where I can see it. However, you can only add so many shortcuts to your taskbar before you can’t see all your shortcuts. So rather than taking up taskbar space with another icon, I decided to create a hotkey shortcut to open Thunderbird. It’s really easy to do. 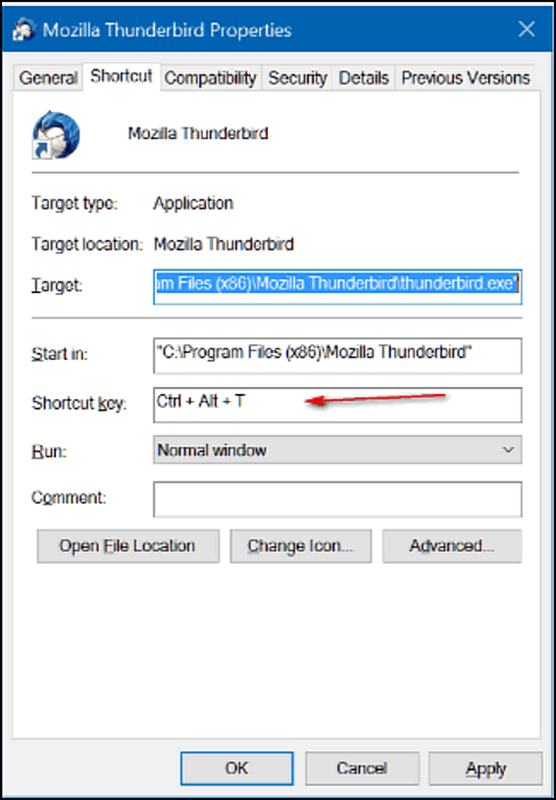 I thought a good hotkey combination to open Thunderbird would be CTRL+ALT+T . T being for Thunderbird – I’m so smart. So all I had to do was open Thunderbird’s Properties dialog . You can do this for any program by right-clicking its shortcut or right-clicking on the program’s executable file — and then clicking on “Properties”. … and type in your desired Hotkey combination. To get the Hotkeys CTRL+ALT+T for Thunderbird, all I had to do was press CTRL T. Windows automatically adds the ALT and the + signs. Press “Apply” then “OK” when your done to save your Hotkey combo for that program. If you do see this dialog, no worries mate, just press “Continue” and your Hotkey combo for that program will be saved. Now all I have to do to open Thunderbird is press CTRL+ALT+T . Pretty cool. If you try to use a Hotkey combination that you’ve already used, Windows will detect it. You can’t use the same Hotkey combo more than once. I know I can remember my four Hotkey combos because I’ve made them easy to remember. And I’ll use them almost every day! Windows Hotkey Combinations: Simple. Easy. Handy. Maybe Windows Hotkey combos will make life easier for you too! Why don’t you write a good INFO ARTICLE about “frames”? They are being used by several people on Facebook, but I think some of the resources are NOT GOOD websites to connect with. A few include some LESS THAN APPROPRIATE pictures. Your ideas and recommendations ARE always worthwhile.